Love is in the air on the Frontier and it's time for Hank to make Fanny an honest woman after all them there kissings under that big pink tree! First off y'all need that Wedding Wagon to roll into town, nobody here on the Frontier knows how to do all the special stuff that you need to to make yerself a wedding so let the professionals arrive and help out! 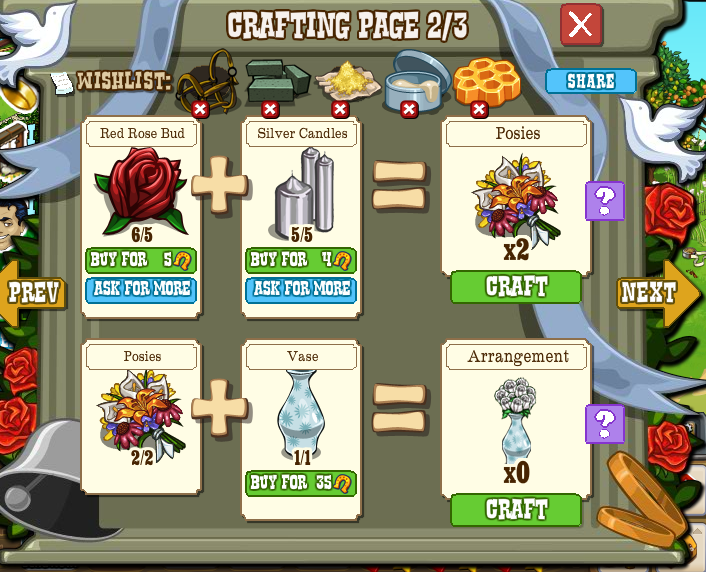 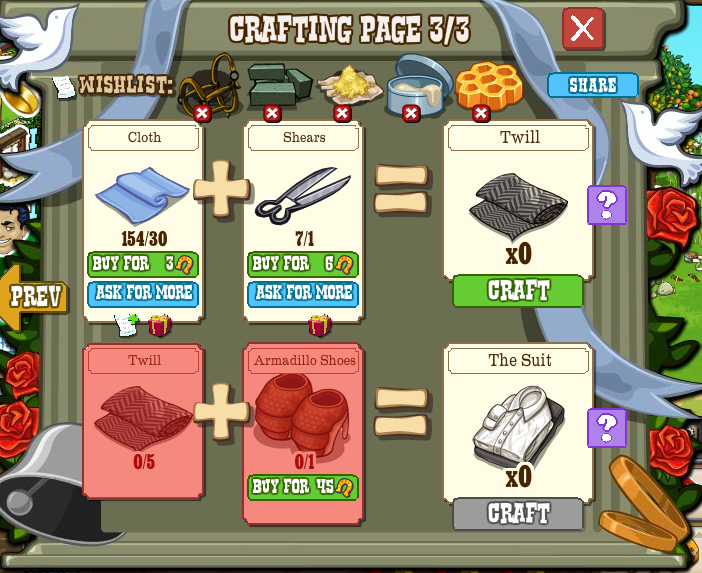 Three crafting screens... (most items are requestable, some are collectibles and some come as mission rewards, Gemstones will drop from doing anything around your homestead). 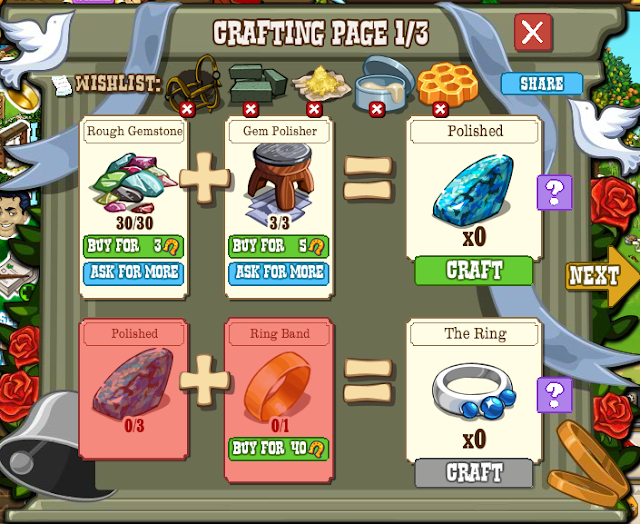 PLEASE NOTE - The Gold Wedding Band, Vase and Shoes are REWARDS for completing missions. 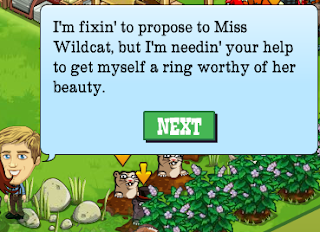 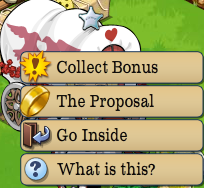 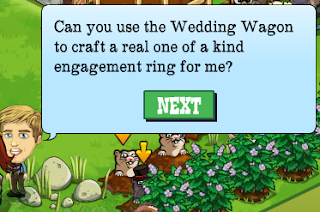 Once you've reached the last of the seven missions and picked up the items AND the gumption to propose, simply click in the Proposal window to start off a little cut scene! 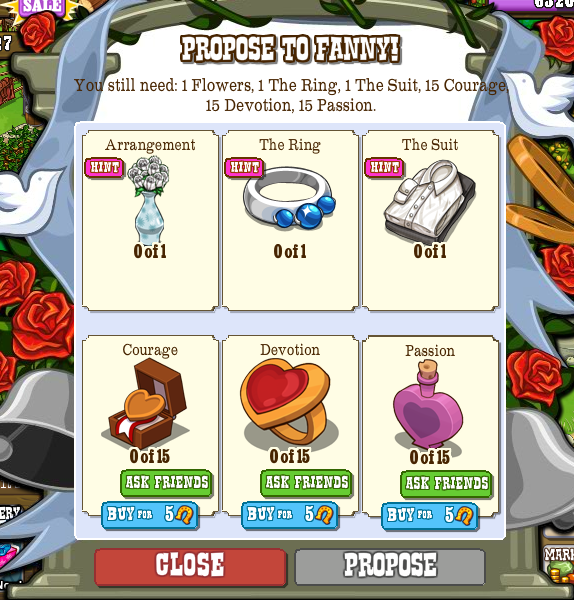 Of course, the traditional ending of one of our posts is also here... the collection! 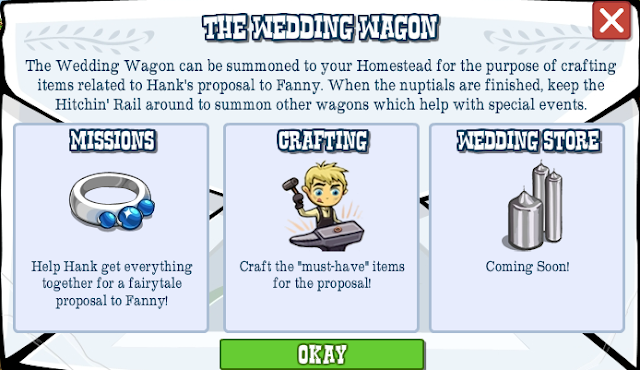 So, Wagon's to help us during special events and a proposal! 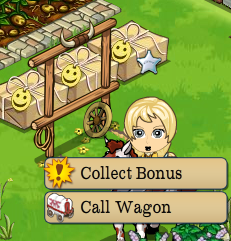 If you have anything to say about either be sure to visit out Facebook Page!